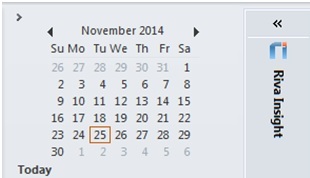 The Riva Insight Outlook Web Add-in also supports Outlook for Windows. For more information, see Which Riva Insight Add-in is for you? Inform them that to install the Riva Insight Windows Add-in on your computer, administrator access to your local computer is required. 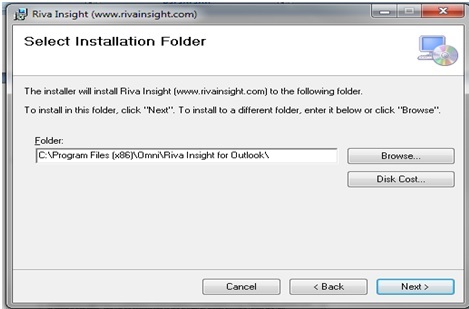 Ask whether you must install the Riva Insight Windows Add-in in a specific location on your computer. Download Riva Insight for Outlook. In Windows Explorer, navigate to your default download location. Right-click the downloaded .exe file, RivaInsight-OutlookDesktop.exe, and select Properties. Near the bottom right corner, select Unblock. IMPORTANT: Close your Outlook email client to prevent issues that may otherwise occur during the next step. Double-click the installer file to run it. On the Setup Wizard Welcome page, select Next. Select the installation folder as per your IT team's instructions, and select Next. Start your email client. On the right side of the window, look for Riva Insight. Expand Riva Insight, and log in. If you have questions or require additional help, contact the Riva Success Team.